1.4. Visit the Malawi One-stop Centre for concise information on investing in Malawi. Sole proprietorships, which once registered are renewable every three years. These are registered under the Business Registration Act 2012. Partnerships, which once registered are renewable every three years. These are registered under the Business Registration Act 2012. Limited liability companies, which are classified into four categories, namely: Public Limited Liability Companies, Private Limited Liability Companies, Companies limited by guarantee, and State Owned Companies. These are registered under the Companies Act, 2013.
Business entities can be registered either online Department of Registrar General or at the Registrar General offices in Blantyre, Lilongwe and Mzuzu by filling and submitting the Application Form and relevant documents. 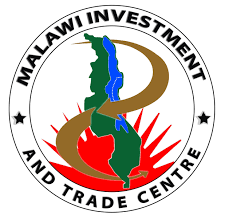 Visit the Malawi One-stop Centre for concise information on investing in Malawi. To promote investments in Malawi, the government gives investment concession to investors on a case by case basis depending on the sector of investment and priority sectors designated by Ministry of Finance, Economic Planning and Developmet. An investor should obtain an Environment Impact Assessment Certificate that is issued by the Department of Environmental Affairs (DEA) under the Ministry of Natural Resources, Energy and Mining. Persons and investments whose activities adversely affect the environment shall have a duty to regularly monitor their environmental performance. The EIA guidelines are available to facilitate investors’ compliance with Malawi’s EIA requirements by government agencies, project developers, consultants and donors in different sectors. The Guidelines provide comprehensive guidance for anyone wishing to develop a project in any of these sectors: Mining projects, Irrigation and drainage projects, Sanitation projects, and Waste management projects. Current the fees as provided include scrutiny fee of MK 50,000 (US$ 68); and fees for review of a full EIA report are around MK 1.0m – 3.0 m (or US$ 1,362- 4,087) depending upon project cost. In addition to obtaining an EIA certificate, an investor is required to obtain a permit/ license depending on the nature of their activity. Generally, investors reported a very enabling environment for private investment. However, concerns were raised on fiscal policy regimes such as high taxes on some goods produced by certain investors. The lengthy process of obtaining business licenses from different institutions/offices, coupled with limited window for on line processing of the said licenses, were also raised as concerns. Malawi’s population is estimated at 17.2 million in 2017. Forty six percent is below the age of 15 years. The education system is guided by the National Education Act and a five year rolling policy and strategic framework known as Education Sector Implementation Plans. The education system comprises early child development (ECD), primary, secondary, vocational and technical, and tertiary education institutions. 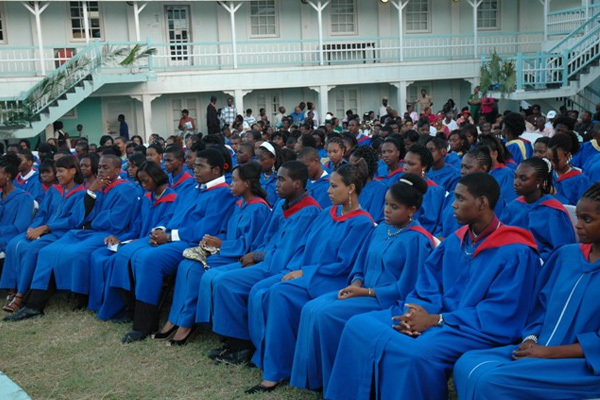 Tertiary education is regulated by the National Council for Higher Education (NCHE). There are four public universities and 16 private accredited universities in the country. The tertiary education system has been growing over the past few years with enrollment in public universities increasing from 7,900 in 2008 to 13,000 in 2014. The country also has technical, entrepreneurial, vocational education and training (TEVET) which is provided in government technical colleges across the country targeting secondary school leavers. 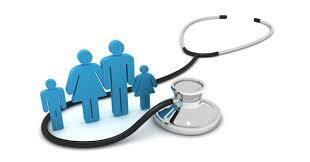 Various private and public colleges also provide certificate and diploma levels of training. 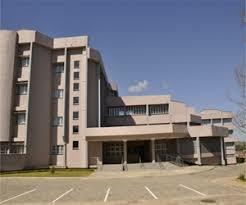 Of the four public universities, University of Malawi (UNIMA) is the oldest. It was founded in 1965, a few months after Malawi Independence and has four constituent colleges, namely: Chancellor College in Zomba; The Polytechnic in Blantyre, the College of Medicine also in Blantyre, and Kamuzu College of Nursing in Lilongwe. 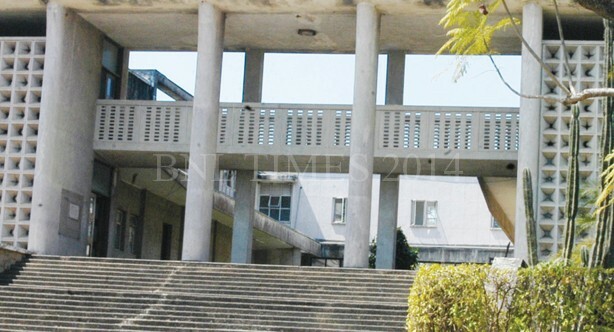 Chancellor College is the largest among the constituent colleges of the University of Malawi. The college comprises five faculties: The Faculty of Humanities, the Faculty of Law, the Faculty of Science, the Faculty of Social Science, and the Faculty of Education. 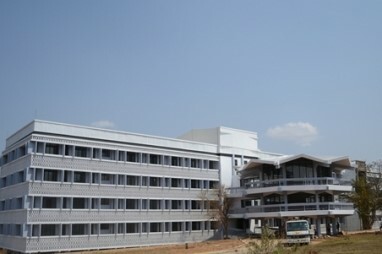 The College of Medicine was opened in September 1991 with the aim of training home grown medical doctors to carter for the country’s needs. The Labour Relations Act, 1996: promotes sound labour relations through the protection and promotion of freedom of association, the encouragement of effective collective bargaining and the promotion of orderly and expeditious dispute settlement, conducive to social justice and economic development. The Employment Act, 2000: establishes, reinforces, and regulates minimum standards of employment with the purpose of ensuring equity necessary for enhancing industrial peace, accelerate economic growth and social Justice. For instance, it requires employers to set out employee's normal working hours in the employment contract, and defines over time hours for employees, amongst others. The Workers’ Compensation Act, 2000: provides for compensation for injuries suffered or diseases contracted by workers in the course of their employment or for death resulting from such injuries or diseases; it provides for the establishment and administration of a Workers’ Compensation Fund. The Occupational Safety, Health and Welfare Act, 1997: makes provision for the regulation of the conditions of employment in workplaces as regards the safety, health and welfare of employees, for the inspection of certain plant and machinery, and the prevention and regulation of accidents occurring to persons employed or to go into the workplaces. The table below sets wages typically paid by foreign investors. By comparison, the minimum wage set by the government is MK 25,012 (US$ 35) per month for unskilled labour. The work week is 5 days, with a maximum of 8 hours per day. The Table below shows the indicative monthly wages paid by foreign investors in Malawi*. Employers are required by the Employment Act, 2000 to provide annual, sick and maternity leave as described in the table below. Minimum contribution amounts are set out in the table. 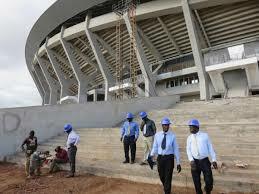 All investors and non-Malawian workers require permits. 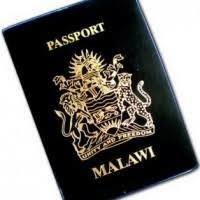 Permits are issued by the office of the Director General for Malawi Immigration and Citizenship Services under the Ministry of Home Affairs and Internal Security. The time for approval process for permits is detailed in the table below. Electricity generation capacity is at 319 megawats against demand levels of 324 megawats. About 60 percent is consumed by the industrial and large commercial entities, 25 percent by domestic users, and 15 percent by small commercial producers. Before the reforms, Malawi used to have one public electricity entity known as Electricity Supply Corporation of Malawi (ESCOM) which was responsible for generation, transmission and distribution to end users. Currently, there are two major public companies in the electricity industry, namely Electricity Generation Company Malawi Limited (EGENCO) which is responsible for electricity generation created following the enactment of the Electricity (Amendment Act 2016), and ESCOM which retains the electricity transmission and distribution functions. The new Electricity Amendment Act of 2016 is encouraging private investments in the electricity sector. As such, in the case of solar power, about 70 megawats of solar energy is expected to be produced by Independent Power Producers (IPPs) in the last quarter of 2017. ESCOM connection charge is MK46,600 (US$63.50), and connection is done within 14 days. Malawi has vast expanses of water systems. The major ones include: Lake Malawi (28,750 km2), Lake Malombe (303 km2), Lake Chilwa (683 km2), and Lake Chiuta (130km2). The country also boasts several small to medium size reservoirs, perennial rivers as well as groundwater resources hence it is a water abundant country. The nationwide accessibility to safe water is 87% according to Malawi Demographic and Health Survey of 2015/16. Over 90 percent of households in urban areas and over 83 percent of households in rural areas have access to improved water sources. Institutional Arrangements in the water sector. The legal and regulatory structures for water resources management and water services are framed from the Water Resources Act and Water Works Act. These Acts control the institutional and organizational arrangements under which the water sector operates, the pricing and tariff arrangements, the water supply and water-borne sanitation delivery and water resources management practices. The management of water resources in the country is primarily under the responsibility of the Ministry of Agriculture, Irrigation and Water Development (MoAIWD) for policy-making, supervision and direction. The National Water Resources Authority established under the Water Resources Act of 2013 and Water Boards established under Water Works Act 1995, play various roles in the water resources development, management and service delivery. Blantyre Water Board provides water to about 85 percent of Blantyre City’s population of 1.4 million for domestic, institutional, commercial and industrial purposes from a daily production of 78,000,000 litres. 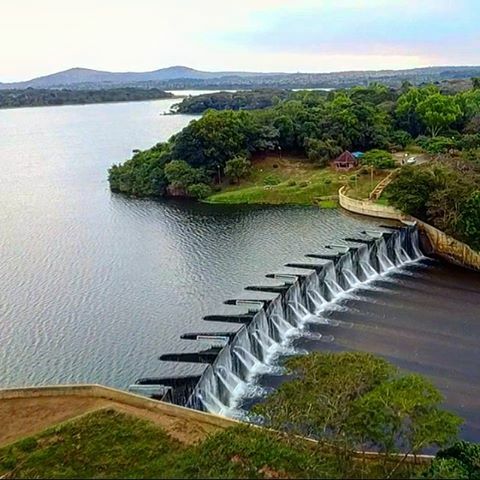 Lilongwe Water Board provides water to Lilongwe City, the capital of Malawi, with a capacity of is 125,000 cubic meters per day, for a population of about 1,000,000. There are about 65,000 metered customers and more than 600 water Kiosks (communal water selling points) within Lilongwe City. The cost of water connection is about MK27,000 (US$37.0) for residential areas. For industrial sites, the rates are a bit higher and depend upon the distance to the investment site from where water the nearest water pipes are. The regulatory frameworks for the ICT sector includes: the Communications Act, 1998 which establishes the Malawi Communications Regulatory Authority (MACRA); the Science and Technology Act, 2003, and the Digital Broadcasting Policy, 2013. Over the years, Malawi has been undertaking major reforms in the ICT sector. They started in the 1990s through separation and commercialization of the then incumbent Telecom operator and Post Office into Malawi Telecom Limited (MTL) and Malawi Postal Corporation (MPC), respectively. The National ICT Policy, 2013 seeks to encourage the private sector's participation in ICT development to facilitate the roll-out of community-based ICT initiatives, and the National Access to Information Policy, 2014. Road transport remains the major mode of transport in Malawi. 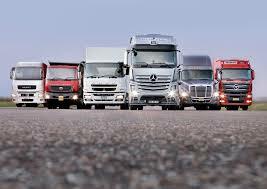 It handles more than 70% of the internal freight traffic and 99% of passenger traffic. The general condition of the road network has improved slightly during the past 5 years, and is expected to improve further in the coming years. 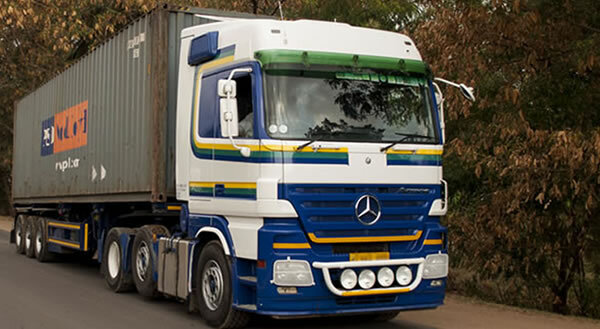 The Malawi transport sector is guided by the National Transport Policy which seeks to ensure the provision of a coordinated transport environment that fosters a safe and competitive operation of commercially viable, financially sustainable, and environmentally friendly transport services and enterprises. The scope of the policy covers all modes of transport namely; road, rail, air and marine. 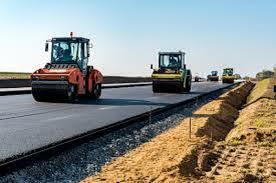 The major thrust of the policy is Government of Malawi’s commitment to increasing private sector participation in the provision, management and operation of transport infrastructure and services. Malawi’s international economic markets are currently accessed through the four key ports of Durban in Republic of South Africa, Beira and Nacala in Mozambique and Dar es Salaam in Tanzania. Malawi also has good road networks that connect the country to its neighbours. The railway network in Malawi consists of 797 km of mainline single cape gauge. Of this, 101km between Nkaya and Nayuchi is being upgraded by the private sector as part of the route from the coal mines at Moatize in Mozambique to Nacala on the coast. 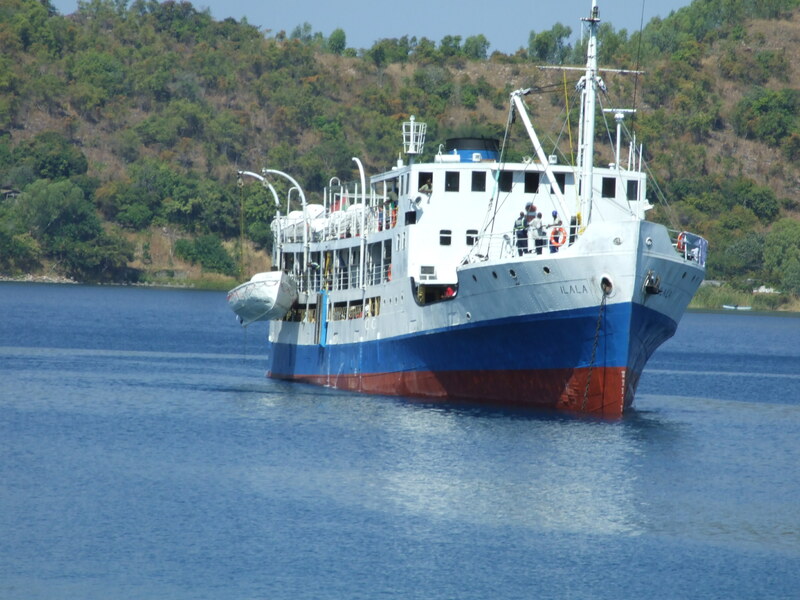 Malawi’s inland water transport system comprises Lake Malawi and Lake Chilwa. 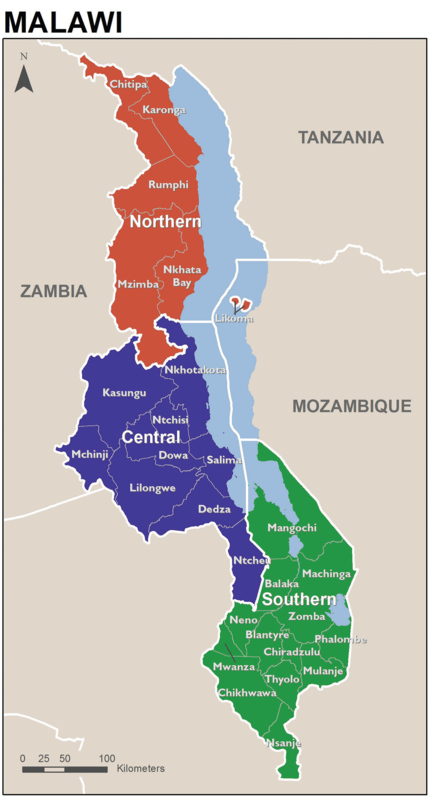 Plans are underway to develop the Shire-Zambezi inland water corridor. 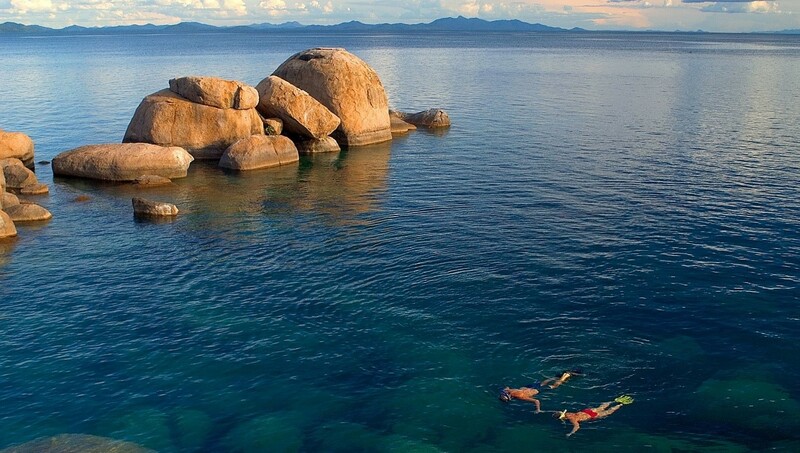 Lake Malawi has four ports as designated under the Inland Waters Shipping Act and some landing points along the shores. The aviation infrastructure consists of two international airports at Lilongwe and Blantyre, and four domestic airports with paved runways at Likoma, Karonga, Mzuzu, and Club Makokola in Mangochi. The Government is in the process of expanding Kamuzu International Airport in Lilongwe and Chileka International Airport in Blantyre as part of its efforts to improve the aviation infrastructure. Investors appreciate the efforts to improve the investment environment. However, electricity blackouts which characterize the supply of electricity energy was cited as the most constraint to private sector investment, as it either raises costs of production through investments in gen sets or simply derails production activities. In addition, the poor conditions of the most of the road, rail and airport, are a hindrance to the private sector operations. This hinders investments in several other sectors. 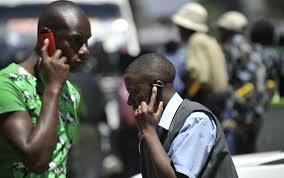 The poor access to ICT services is also negatively affecting the investments in several other sectors of the economy including banking and registration services. 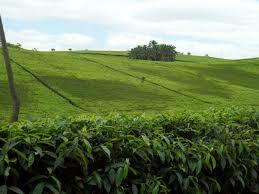 Private land which comprises freehold land, leasehold land, and customary estates. The new Land Act prohibits granting of freehold to a person, but allows those that are already holding such land titles to continue. The Office of Commissioner of Lands administers and manages land issues such as making grants, leases and other dispositions. Land designated for investment purposes shall be identified, published in the Gazette and allocated to the Malawi Investment and Trade Centre which shall create derivative rights to investors in accordance with the Investment and Export Promotion Act, 2012. The size of land allocated to investors shall be in accordance with the ceilings which may be set by the minister responsible for lands in consultation with minister responsible for investments, based on the type of activity and location of land. Non-Malawian investors can be granted lease of land with a maximum period of 50 years, while for Malawians it is 99 years. Sale of leased land to a non-Malawian shall be done if the sale of land is published in a newspaper in daily circulation not less than 21 days before the date of sale, specifying price, location and size of the private land, and developments on the land. Sale of the advertised land shall be made if no Malawian is able to purchase the said land at the advertised price or higher. Non-Malawians shall not exchange title of land amongst themselves by way of gift. Cost of purchasing land in Malawi varies with the location of land, and developments made thereto. Most land plot in town and cities and lakeshore areas cost between US$10,000 and US$150,000.00. The same applies to farm land, though for bigger land sizes. Information on land and developed properties for sale in towns, cities and lakeshore areas is available in local print media. Once the town planning committee is satisfied with the application details, it issues a grant permission in accordance with the Town and Planning Act (cap 23:01) outlining conditions of the granted approval including validity of the granted approval, payment of certificate of occupation fee after completion which is 1% of total cost of the development, amongst others. The Export Processing Zones Act, came into force in 1995. All companies engaged exclusively in manufacture for export may apply for EPZ status, as Government accords EPZ status only to firms (foreign or domestic) that produce exclusively for export. Generally, there are no serious complaints against environment impact assessment requirements. Concerns have been raised regarding investors access to customary land for investment purposes, as investors have to deal with rural communities on their own, which is sometimes costly. However, with the establishment of OSSC at Malawi Investment and Trade Centre (MITC) and the new Land Act promising to identify and allocate land to investors through MITC such concerns shall shortly be a thing of the past. 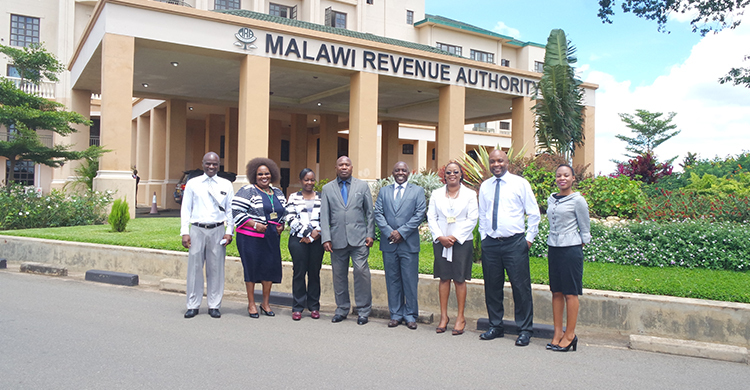 The Malawi tax laws (Taxation Act and VAT Act) require owners of businesses, both individuals and companies, to register for tax purposes with the Malawi Revenue Authority (MRA) regardless of the size of business, nature of business or location. To register for tax, investors must provide to the Malawi Revenue Authority the following filled documents: business registration certificate, valid ID, articles of association (if limited company). Registration for taxes is free and can be done at any nearest MRA office. MRA issues a Taxpayer Identification Number (TPIN) on registration which should be used on any correspondence with the Authority. MRA has introduced innovative platforms aimed at enhancing electronic payment of tax and verification of MRA documentation. These include requiring investors to use Electronic Fiscal Device (EFD) facilities by all registered Value Added Tax (VAT) operators; use of ASYCUDA World, and cargo scanners, among others. 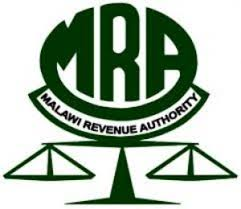 MRA follows the Government fiscal year which runs from 1st July to 30th June. However, there is flexibility in that an investor can notify the Authority on its financial year. The following are the specific key tax regimes. Standard rate of 30%; investment income of pension funds is subject to tax rate. Pay As You Earn (PAYE) is a method of collecting Income Tax from employees on their earnings. Deduction is done by the employer when the payments are made. This means that PAYE can be deducted and remitted by an investor weekly, fortnightly or monthly. For income tax purposes, the accounts are supposed to be submitted to the Authority at the end of the accounting period. The date of submission is 180 days or 6 months from the end of the accounting period. The accounting period or business year is decided by the taxpayer. Currently, the applicable rates for the Pay as Your Earn (PAYE) on a monthly basis are as follows. VAT is collected by registered businesses at all points in the chain of production and distribution, including manufacturers, wholesalers, retailers and service providers. It is also charged on imported goods and services. The 16.5 percent VAT is payable by an investor who makes taxable supplies of goods or services and whose business turnover is estimated or exceeds K10 million (about US$15,000) per year is obliged to register for VAT. An investor must register for VAT at any MRA Domestic Taxes offices upon which they receive a registration certificate which must be displayed or exhibited permanently at the principal place of business. A registered person who makes taxable supplies must charge VAT and remit to MRA by the 25th day of the month, immediately following the month to which the tax relates. There are two components of Excise Tax. There is Import Excise, which is levied on certain importations and is administered by the Customs Division. There is also Domestic Excise, which is levied on certain locally manufactured products and services and is administered by the Domestic Taxes Division. An investor engaged in manufacturing of goods is required by law to complete entry of premises EX37 forms in triplicate which must be accompanied by plans of the premises and plant. The MRA Commissioner General issues a license to manufacture if satisfied that the investor meets the set conditions under the Customs and Excise Act. Domestic Excise tax is payable by the 20th of the following month. The amount of Domestic Excise to be paid is determined by multiplying the cost of production of each product by its rate as outlined under column 10 of the Customs and Excise Tariff Order. Turnover Tax (TOT) is tax levied on gross income from businesses. “Income from business” includes gross receipts, gross earnings, revenues, takings, yields and proceeds. Turn over tax is levied at 2 percent of the gross receipts of businesses for businesses with an annual turn- over exceeding MK6.0 million. In Malawi, the turnover tax is applicable on all categories of income except rental income, management fees, professional fees or training fees, income of incorporated companies and any income that is subject to a final Withholding Tax. The TOT return should be submitted to MRA on or before 20th day of the month following the end of the tax period. For example, a return for the month of May 2017 should be submitted to MRA on or before 20th June 2017. Fringe Benefit Tax (FBT) is tax paid on the taxable values of fringe benefits being provided by an employer to an employee. The rate for FBT is 30 percent and all employers except the Government are liable to FBT. To register, an employer fills Form FBT 1 and gets Form FBT 2 for remittance, and registration should be done 14 days after starting giving fringe benefits to employees. Customs duty refers to tax payable on imported goods, and is at 30% of the import value. However, when one imports goods from a country or countries that are a party to a bilateral, regional or global trade agreement with Malawi, depending on the terms of the agreement, the goods may enjoy preferential rates of duty. The preferential duty rates will not apply where the conditions or terms of the agreement are not met in full, such as when an importer is not able to produce a valid Certificate of Origin. Investors are required to Complete Form 47 to declare all the goods imported and their values. The goods are examined by customs officials to confirm declaration and determine the taxes due. MRA determines the customs values using genuine invoices of the imported goods. The invoice value may include cost, insurance and freight (CIF) and other charges as required by WTO Valuation Agreement, 1994. MRA converts the invoice value into Malawi Kwacha using official exchange rates provided by the Reserve Bank of Malawi on a weekly basis. Imported goods whose value is more than K100,000 (US$136.2) are required to be cleared through a customs clearing agent using Form 12 under customs laws. Withholding Tax is an advance payment of income tax that is deducted from specified payments. A person making the payment deducts the withholding tax. Any individual, partnership, trust, association, company, club, statutory body, council, Government ministry or department or any religious organization, as long as it makes payments to any person, is eligible to register with MRA and operate Withholding Tax. Malawi is in process of renegotiating agreements with UK, Denmark, France, Norway, Switzerland, Netherlands, South Africa and Norway. 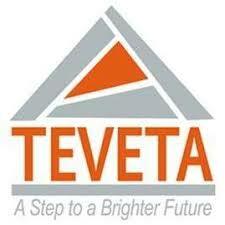 Besides PAYE, investors must pay a 1% of the basic annual payroll to TEVET through MRA to support technical, entrepreneurial and vocational education that is undertaken by the Technical, Entrepreneurial and Vocational Education and Training Authority (TEVETA). Investors were positive about the fiscal regime. With the establishment of the Large Taxpayer Officer (LTO) within MRA, big investors appreciate the professional approach being taken by the tax collecting body, unlike the previous times. However, concerns were raised on fiscal policy regimes such as high taxes on some goods produced by certain investors. The Government has put in place legal measures aimed at assuring investors against expropriation of their assets, as well as instruments for dispute settlement. 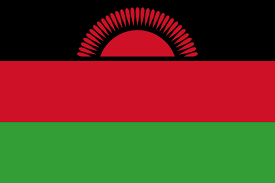 Malawi has signed 6 BITs as of December 2010. These include treaties with Taiwan, Malaysia, and Egypt, Italy, Netherlands and Zimbabwe. For more information on investment and trade legislations, please click on the links below to access or download information. Malawi’s constitution, Section 44 (4), prohibits deprivation of an individual’s property, including local and foreign investors, without due compensation. The likelihood of direct expropriations has been minimized since the repeal of the Forfeiture Act in 1992. Section 44: 4 states that “expropriation of property shall be permissible only when done for public utility and only when there has been adequate notification and appropriate compensation, provided that there shall always be a right to appeal to a court of law”. The constitution further gives powers to the courts of law to “award compensation to any person whose rights or freedoms have been unlawfully denied or violated where it considers it to be appropriate in the circumstances of a particular case”. Measures that carry expropriation effects are occasionally imposed, and in that event of enforcement, they apply to both local and foreign investors. 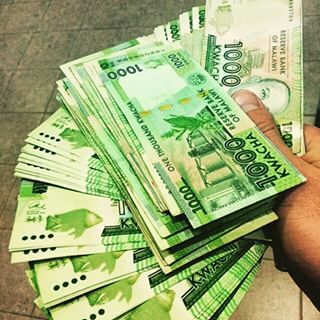 There are no restrictions on remittance of foreign investment funds (including investment capital, profits repatriation, repayments for international loans and lease repayments) as long as the capital and loans were obtained from foreign sources and registered with the Reserve Bank of Malawi (RBM) (www.rbm.mw ). The terms and conditions of international loans, management contracts, licensing and royalty arrangements, and similar transfers require initial RBM approval. As a member of the WTO Agreement with a component on trade-related aspects of intellectual property rights (TRIPS), Malawi has the legal framework to protect intellectual property. This includes the acts on copyrights, trademarks, registered designs and patents, property protection of genetic engineering products particularly GM crop varieties, creatives works, amongst others. The key national institutions responsible for enforcement of intellectual property rights (IPR) issues include: the Department of Registrar General under the Ministry of Justice and Constitution Affairs which is responsible for patents, trademarks and designs; the Copyright Society of Malawi under the Ministry of Culture which deal with copyright issues and Ministry of Industry, Trade and Tourism is responsible for trade related aspects of the IPR, and others. The Malawi Government has drafted an Intellectual Property Right Policy which seeks to consolidate IPR matters through the creation of the Malawi Intellectual Property Office (MIPO), which will be sustained by revenues to be generated from registration fees for patents, copyrights and trademarks. The Competition and Fair Trading Act protects investors from anti-competitive business practices. The Act prohibits conducts that prevent, restrict and distort competition in the market and, therefore, guarantees investors freedom to do business without unnecessary market impediments. The Act is enforced by the Competition and Fair Trading Commission (CFTC) which is an autonomous body with adjudicative powers. 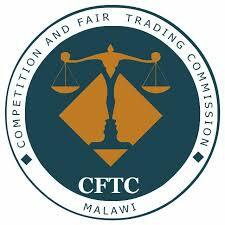 Decision of the CFTC may be appealed in the High Court. Investors are also guaranteed protection from cross border anti-competitive business practices through the COMESA Competition Regulations, which regulate conducts that have effect in two or more countries within the COMESA region. 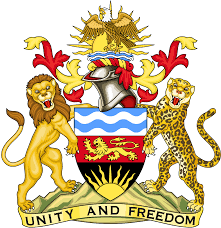 The legal system is established in the Malawi Constitution based on British common law system. 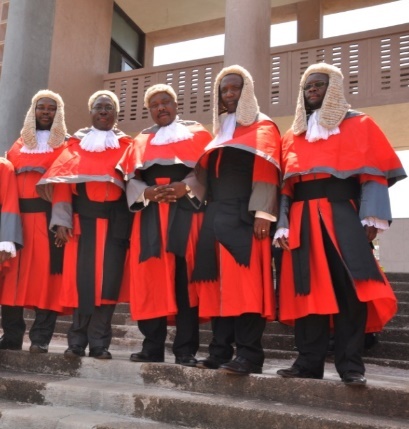 The Attorney General, Director of Public Prosecution, Chief Justice, Supreme Court of Appeal judges, High Court judges, and magistrates administer justice in the country. Both foreign and domestic investors have equal access to Malawi's legal system, which functions well and is unbiased. 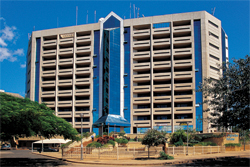 Malawi has a Commercial Court established in 2007, being the Commercial Division of the High Court of Malawi. Its establishment has significantly reduced the time it takes to conclude commercial cases, such that by April 2017, the Court reported a 72 percent time reduction, ie from 350 days to 97 days, and there are efforts to reduce the time further. 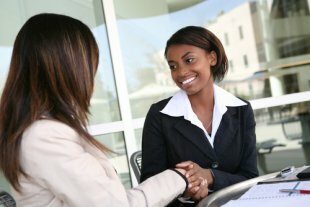 There is an established mediation process to promote agreements between parties in disputes before court proceedings start. The court system in Malawi accepts and enforces foreign court judgments that are registered locally in accordance with established legal procedure. There are reciprocal agreements among Commonwealth countries to enforce judgments without this registration obligation. All bankruptcies are governed by the courts under the provision of the consolidated Insolvency Act of 2016. It is based mostly on the Mauritius Insolvency Act 2009, partly the English Insolvency Act 1986 and the cross border provisions on the United Nations Commission on International Trade Law (UNCITRAL) Model Law on Cross-Border Insolvency, and as such, it has taken after a number of internationally accepted best practices in corporate insolvency. 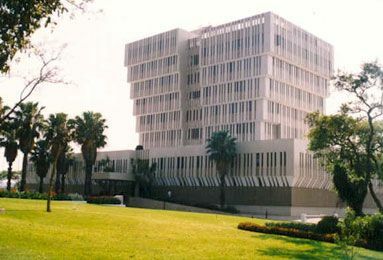 International Center for Settlement of Investment Disputes (ICSID), hence accepting binding international arbitration of investment disputes between foreign investors and the state. Malawi’s current Head of State is a former arbitrator for ICSID. COMESA Court which was established in 1994 to provide protection for investors (including foreign investors) intending to put their money into the Eastern and Southern Africa region that it is safe to do so. The new Insolvency Act of 2016 encourages alternatives to bankruptcy such as receivership and reorganization and gives secured creditors (rank-ordered based upon investment registration dates), priority over other creditors. Investors appreciate the protection provided by the legal and regulatory frameworks to their investments. However, concerns were raised on the delays in the processes approving mergers and acquisitions. The approval process at times involves requiring the investors appearing before different committees which ask the same questions the investors have already provided in the previous forum. The Malawi economy has been registering significant economic growth patterns over the past years such that in 2016, the economy grew by 4.5 per cent and is expected to continue growing due to the improvement in the macroeconomic fundamentals such as lower global fuel prices and stable exchange. The agriculture sector in Malawi is widely recognized as the mainstay of the economy which contributes close to 30 per cent of the national gross domestic product (GDP), such that a strong positive relationship exists between the sector growth rate and that of the national economy. There is strong political commitment to economic diversification and the key growth sectors such as agriculture, industrial development, mining, energy and tourism. The key sectors of the Malawi economy include: agriculture, forestry and fishery (28 per cent); wholesale and retail trade (16 percent); manufacturing (9 percent); real estate activities (7.6 percent); financial and insurance services (5 percent); among others. Malawi continues to participate actively in bilateral, regional and multilateral trade agreements with a view of benefiting from a wider market access and integrating into the global economy. Bilateral Trade Agreements; Malawi has an asymmetrical bilateral trade arrangement with South Africa and symmetrical bilateral trade agreements with Zimbabwe and Mozambique, which facilitate the duty free quota free export of Malawi products to these markets. A Customs Agreement with Botswana is essentially non-operational as the business community prefers to use the SADC preferences other than this agreement. Regional Trade Agreements; Malawi is a member of Common Market for Eastern and Southern Africa (COMESA) Free Trade Area and the Southern African Development Community (SADC) Free Trade Area. Malawi is also a member of the COMESA-EAC-SADC Tripartite Free Trade Area (FTA) covering the three Regional Economic Communities (RECs). The Tripartite Free Trade Area encompassing 26 Member/Partner States from the Common Market for Eastern and Southern Africa (COMESA), East African Community (EAC) and the Southern African Development Community (SADC). The Tripartite FTA popularly known as the Grand Free Trade Area, will be the largest economic bloc on the continent and the launching pad for the establishment of the Continental Free Trade Are (CFTA). Multilateral Trade Agreements; Malawi continues to actively participate in the multilateral trade arrangement under the World Trade Organization framework with a view of safeguarding her interests by focusing on trade related development issues such as market access in agricultural and industrial products, preserving the existing trade preferences, provision of special and differential treatment to Least Developed Countries (LDCs), and reduction of all forms of non-tariff barriers to trade. 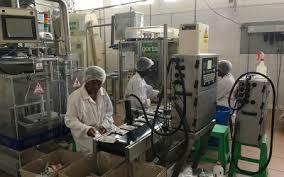 Malawi has since ratified the WTO Trade Facilitation Agreement becoming the second LDC to do so in Africa. Unilateral Preferential Trade Arrangements; Malawi continues to enjoy preferential market access to the European Union (EU) under Everything But Arms (EBA) initiative, which is part of the EU Generalized System of Preferences (GSP). Through this initiative, LDCs enjoys duty and quota-free access to EU for all imports save armaments. Malawi enjoys preferential duty and quota free market access to United States of America under African Growth and Opportunity Act (AGOA) since 2000. Malawi also benefits from a duty free agreement with Peoples Republic of China and India’s Duty Free Tariff Preference (DFTP) Scheme offered to LDCs, in addition to the EBA initiative the EU accords to Malawian products. There are a number of tax incentives provided for in the Taxation Act. These include annual allowances, initial allowances, investment allowances, transport allowances, export allowances, training allowance and mining allowance. Investment Allowance shall be given to a taxpayer who is also a manufacturer equal to 100% of the cost of new and unused (Industrial buildings) plant or machinery and equal to 40% of the cost of used industrial buildings and plant or machinery. An additional allowance may be granted of 25 percent of the international transport costs incurred by a taxpayer for his exports whether produced by manufacturing in bond or otherwise, but other than exports of products specified in the Schedule to the Export Incentives (Exclusion) Order made under the Export Incentives Act. A registered exporter, shall in every financial year during which he exports products of Malawi, be entitled to an income tax allowance of 25 percent of his taxable income derived from his export sales. A person carrying on mining operations incurs mining expenditure in any year of assessment shall be entitled to an allowance equal to 100 percent of such expenditure in the first year of assessment. Temporary imported goods are those goods which come to Malawi for a short period (for a maximum of 30 days) and are subsequently re-exported within the specified period. Extensions of the period of validity of any TIP may be granted by Flexible Anti-Smuggling Teams (FAST) offices in Blantyre, Lilongwe and Mzuzu only. 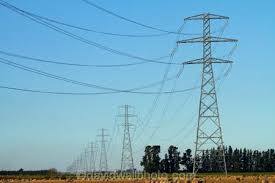 Malawi has amended its Electricity Act of 2004 to enable restructuring of the power market and allow private sector participation in the power industry.The total installed capacity of the interconnected grid in the country stands at 361MW against a demand of 450MW. The current suppressed electricity demand (if all step loads were supplied with power) stands at 750MW. However, it is projected that the demand will grow to 950 MW in 2020 and 1,200 MW in 2025. If the full potential of the economic power demand growth drivers (mining, manufacturing, processing, domestic use, service sector and irrigation needs) are realized, the total power requirement is estimated at 2,830MW by 2030. Presently, there is a project that is constructing, uprating and upgrading the transmission network to increase its carrying capacity to 1,250 MW by September 2018. 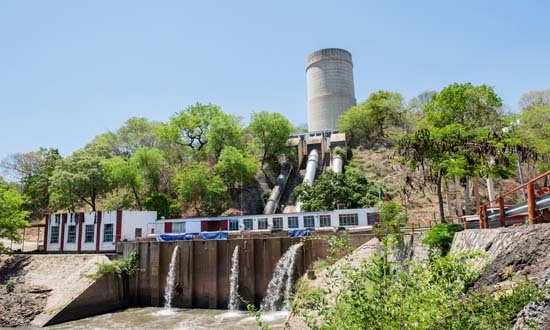 The Government is presently undertaking feasibility studies on three potential hydropower generation sites,namely Fufu, Mpatamanga and Kholombidzo with potential to generate 140MW, 230MW and 100MW respectively. Development of the sites will be tendered out. Hydro Power: The country has a lot of untapped hydropower resources. In working towards developing these resources, the Ministry of Natural Resources, Energy and Mining has conducted feasibility studies on some of the potential sites and is still conducting the studies on other sites as well. The completed sites will be available for tendering process which will be advertised in local newspapers.. Solar Power: Malawi has one of the highest solar irradiation in the world. In a bid to increase power generation capacity and promote green growth, solar power generation is been encouraged in the country. Solar provides unlimited source of energy with no pollution, no greenhousegas emissions and installations of which are reversible without any landscape modifications. Wind Power: Based on preliminary studies on the potential of wind generated electricity, it has been found that the west of the country has wind speeds of between 5-7 m/s. Though this might need conclusive studies for the potential areas, this type of energy generation remains unexploited. Studies are underway on six sites to ascertain the resource potential. Thermal Power: Malawi has substantial coal reserves, mostly located in northern part of the country for thermal power generation in excess of 1,500 MW Malawi also has a potential of using coal from neighbouring Mozambique whose mining sites are close to the country. Malawi’s energy supply is dominated by biomass (ﬁrewood, charcoal, agricultural and industrial wastes) accounting for 84% of the total primary energy supply. This is a potential area for business for investors in the form of manufacturing and supply of clean and efficient cookstoves for use with biomass energy, production of sustainable charcoal and pellets and supply of alternatives to charcoal and firewood such as liquefied petroleum gas (LPG)..
With beautiful and breathtaking natural scenery from as low as barely above sea level to as high as 3002ft above sea level, Malawi has diversity of landscapes. From tea estates, forest reserves, to streams, waterfalls, mountains and plateaus, one can engage in various activities such as tea tasting, climbing, trekking, mountain biking and bird watching. 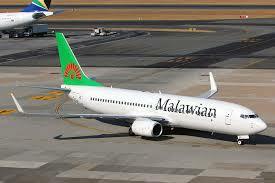 Malawi is Africa’s newest big 5 destination. Its nine national parks and Wildlife reserves offer a unique and intimate game viewing experience. Whether by 4by4, walking and trekking, or boat, Malawi offers undoubtedly a memorable game viewing experiences. In recent years, Malawi is also becoming a popular destination for Meetings, Incentives, Conferences and Events locally and internationally. Cable Car and associate facilities on Mount Mulanje. In 2016 the agriculture sector grew by 3.2 percent and is expected to register improved growth rate of about 6.9 percent in 2017. Investment opportunities for the agriculture sector include: livestock production, aquaculture, horticulture, agro processing, sugar, honey production, integrated cotton development and cassava production. Livestock Production, such as feed production, improved breeds of cattle, manufacturing of cooling tanks, amongst others. Soya beans production and processing into yoghurt, cheese, tofu, miso , candles, cattle feeds, bio diesel , cooking oil, meat substitutes and margarine. Sugarcane processing: Sugarcane processing facilities for export markets, ethanol factories, amongst others. Details of potential Agriculture and Agro-processing Investment Projects are in Malawi’s Compendium of Investment Projects. Textile and Garment Manufacturing: About 6 Chinese and Indian investors, currently dominate the garment industry. With market opportunities under AGOA and preferential bilateral agreements between Malawi and South Africa investing in the garment/textile industry would be smart choice for foreign investors. Light Manufacturing: Malawi imports most of the required household electrical fittings (e.g. cables, plugs, switches) and engineering materials e.g. steel based products. Investors are therefore asked to invest and exploit the opportunities in this sector. There are about 10 commercial banks operating in Malawi. However, there is still opportunity for additional banks in the sector as the rate of financial inclusion is estimated to be around 20 percent, ie, the adult population with bank accounts. The commercial banks have a Bankers Association of Malawi and an Institute of Bankers in Malawi which promote standard of professional competency and level of skills in banking and the financial services sector in the country. The insurance penetration rate in Malawi is among the lowest in the world and in Africa, with the average rate over the last 5 years estimated to be between 2.8% to 3.5%. This is quite low given that the country’s population currently stands at about 17.2 million. Malawi has about 25 micro finance institutions. These include credit cooperatives and micro finance services set up by non-governmental organizations. See www.rbm.mw or http://www.mamn.mw for details. There is a Malawi Microfinance Network (MAMN), being a legally constituted grouping of these microfinance institutions and institutions that are providing microfinance related services in Malawi. Its major objectives are to: develop, promote and regulate microfinance activities so as to ensure good governance as a way of ensuring their sustainability and enhancement of their capacities to stimulate and enhance private sector development and be key players in rural and urban economic and social transformation in Malawi. Its major activities include: facilitating the exchange of experiences, ideas, innovations, information and technologies in order to strengthen microfinance operations among member institutions, and build capacity within the sector as a whole. The opportunities in this sector include investment in affordable and easily accessible microfinance services, targeting the SMEs. 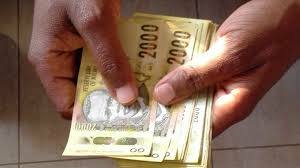 Foreign exchange can be obtained from commercial banks or foreign exchange bureau found in cities across the country. However, there are times when these bureau are faced with high demand than supply. There are still investments opportunities in terms of opening more foreign bureau to provide reliable services to the business community. The real estate sector in Malawi is growing steadily and is one of key growth sectors contributing to GDP is estimated at 7.6 percent, GoM Annual Economic Report (2016). The popular segments of the real estate sector include: housing, offices, and recently farm lands. In the housing segment, the demand for housing units is driven by the growing annual rate of urbanization estimated at 6.3 percent, as well as economic growth. As such institutions responsible for provision of housing are not able to meet the growing demand, particularly of high quality. 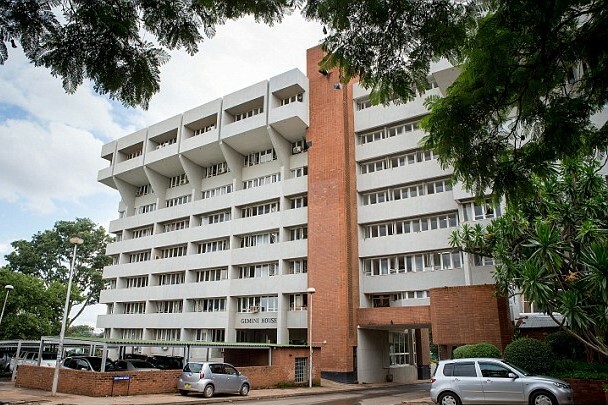 Institutions in the property sector include Malawi Property Investment Company Ltd (MPICO) and the Malawi Housing Cooperation (MHC) Malawi Housing Corporation (MHC). Both MPICO and MHC undertake their investment projects in partnership with local and foreign property investors. Besides the semi-public institutions, with the liberalization policy Malawi has seen emergence of private real estate agents dealing in selling of housing units, farm land, and plots. Housing units for middle class. The emergence of the middle class, though still small, demands decent accommodation which is not being met. Office accommodation: With the growth in private sector investments and NGO services, is the demand for decent and affordable office accommodation. The growth sectors for Malawi do indeed have the potential for realizing investors returns to investments. Since, Malawi needs investments in different sectors, there is need for a coordinated investor promotion process to realize the needed competitive advantage in the economy.